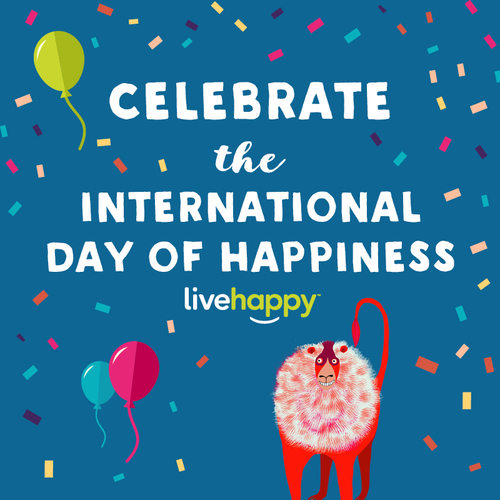 The International Day of Happiness must be my favourite day of the year. It is a recent invention, and only celebrates its fifth anniversary today. Like every international day, it acts as a reminder to pay attention to the right things. To be aware of what makes us happy, and cut away some of the things that don’t. There are plenty of sources of inspiration that could help make small moments of happiness happen, like on HappyActs or Action for Happiness. Often it’s very simple: say thank you or smile to someone, take a walk in nature, or do a (Random) Act of Kindness. The release of the World Happiness Report is now a regular fixture on the calendar. This year, there is a new number one: Finland. It is a sign there is a lot of space at the top: the last few editions also saw Norway, Denmark and Switzerland coming first. (The authors explain that this is due to very small differences in happiness levels among these countries. Next year it could be any of those – or Iceland – again). All these countries share high performance across the board on factors that strongly correlate with happiness: a well-developed economy, social support, a good health system, personal freedom, trust in public society, and high levels of generosity. Having said that, there are a couple of things that are particularly interesting in the Finnish case, and that might have helped to build a lead over its competitors for first place. Education in Finland is of high quality. Finnish teachers are highly respected and qualified (a master’s diploma’s are required), and the country scores extremely well in international comparisons. Nature matters. Finland is a scarcely populated country. Having nature makes it easy to get away from daily distractions. It also facilitates an active lifestyle favouring happiness (this is also a factor that it has in common with other high performers, like Norway and Switzerland). Some Finns take this to the extreme though: the practice of winter bathing is popular in some circles. It goes like this: cut a hole in a frozen lake, dip in for a minute or so, and then run for the sauna to warm up. ‘Sisu‘, a concept close to hearts of Finns that helps to keep going. Many Finnish people believe in the idea of ‘sisu’, which means something like grit, resilience or determination. This attitude helps to overcome difficulties, be it a long cold winter or adverse events in life. Does that mean that everything is perfect in Finland, or any of the other top five countries for that matter. Of course not – paradise on Earth does not exist. But Finland is a state that takes care of education, offers a natural environment that promotes an active life style, and has a cultural strong attachment to grit. These factors all help in the pursuit of happiness. If happiness is about paying attention to the right things, the Finns probably are doing a great job. I wrote this article for Stadsleven (“City Life”), an Amsterdam-based talk show about urban issues. The next session on 27 January will be dedicated to the Happy City, and the editor of Stadsleven asked me to explain what our cities can learn from Gross National Happiness (GNH) in Bhutan. The original Dutch version can be found here. What is the objective of the state? Philosophers and leaders have been reflecting about this question for thousands of years. Most states focus their policies on economic development. The assumption is that when a country becomes richer, its citizens will be better off. But is that the case? Research shows that the Western world is a lot richer than fifty years ago. At the same time, we are hardly any happier than in the 1950s. Bhutan’s core philosophy thus is different, and we hardly realise how revolutionary that is. The economy and Gross Domestic Product (GDP) are central topics in the public debate in the Netherlands. We’re confronted with growth forecasts on a daily basis. Many people in the Netherlands will know that the target for the budget deficit is 3%. But will they have an idea about national happiness level? Probably not. And consider that the Social and Cultural Planning Agency (SCP) recently concluded that quality of life decreased between 2010 and 2012, for the first time in thirty years! After Bhutan, the UK, the OECD and the European Commission, to name some, GNH could also inspire the Netherlands (and Amsterdam). Of course there is no way that our political leaders should tell you and me how to be happy. Dutch Prime Minister Mark Rutte is right in saying that the state is not a happiness machine. But the government does have the responsibility for our quality of life. But how, and what does make us happy? 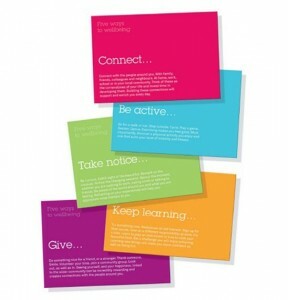 The British new economics foundation has researched five ways to well-being. These are factors that affect the happiness and well-being of an individual: connect, be active, take notice, keep learning and give. Cities can integrate some elements in their urban planning and design. Public spaces can be designed to facilitate that people meet each other (connect) or are invited to do sports (be active). Through education and community activities, city councils can promote skills and values that help us to appreciate the moment (take notice), be curious (keep learning) and share with others (give). The lessons of Bhutan deserve to be followed. Isn’t there a more noble cause than a happy city?